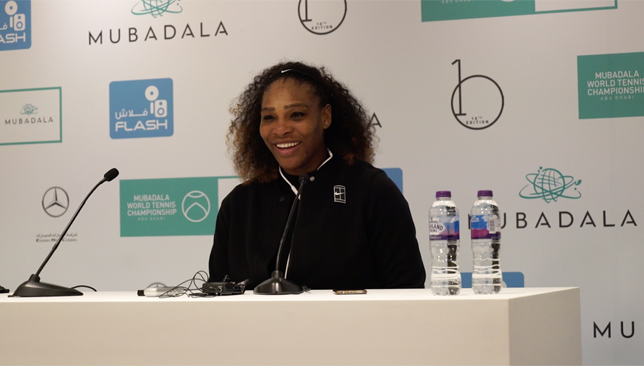 Serena Williams described her comeback match in Abu Dhabi on Saturday as “perfect” and said she was proud of herself for stepping on court so soon after having her first child. 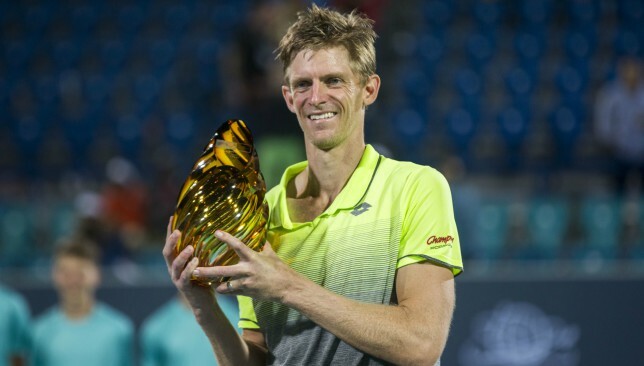 The American superstar lost a tight exhibition match against Jelena Ostapenko at the Mubadala World Tennis Championship on Saturday, less than four months after the birth of her daughter Alexis Olympia. Serena, one of the greatest tennis players to ever pick up a racquet, confessed to “trepidation” at the start of the match, and described how tough it is to get back to training after giving birth. “I can’t rate my performance. I’ve had a lot of comebacks, from surgery, foot surgeries, knees, but I’ve never had a comeback from actually giving birth to a human being. 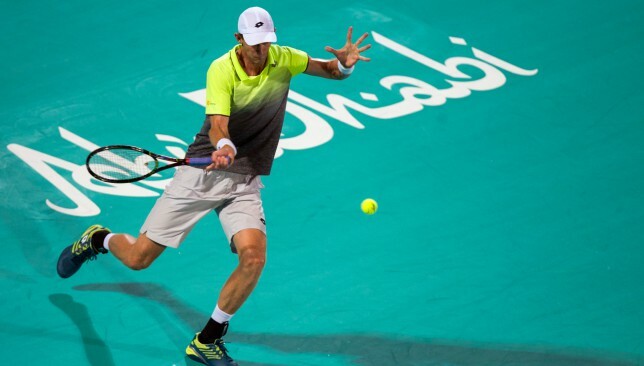 So in my eyes I feel like it was a wonderful match for me,” the 36-year-old said in Abu Dhabi. Serena was not moving well at the start of the match against the Latvian Roland Garros champion but that aspect of her game improved as the showdown progressed. “Yes, that was a really good thing. In the beginning it was a little tough, I also think I had a ton of trepidation out there, but as the match moved on I was less afraid. “I was like ‘I’m not going to fall over and break , I’m going to be okay’ and the more I played, the more confident I felt. And the more I was able to go for shots that I was afraid to go for in the first set. On her part, Ostapenko, the current world No. 7, was thrilled she finally got to face her idol, in a singles match, and praised Serena’s performance. “I think she was playing pretty good for being out for a long time. I mean she’s such a great champion and such a talented player, so I think not many players can play at such a high level after being out for a long time,” said the 20-year-old. Serena assured she is “not done yet” with the sport while adding that she has nothing to prove. Still, she is just one Slam away from equaling Margaret Court’s all-time record of 24 Grand Slam titles. Court won three majors after having a baby, in the 1970s, but Serena refuses to draw any comparisons with the Australian, noting the fact that Court competed in a completely different era, “a very long time ago”. “Now I’m just taking it one day at a time for me. I think being a mom is something incredibly special and I’ve embarked on a really good journey. It’s probably the best journey of my life and I love it so much. It’s pretty awesome,” said Serena. Serena Williams admits she’s taking her comeback “one day at a time” and is uncertain when she will feel completely ready to return to the tour but assured she is “not done yet”. The American legend made her first public appearance on a match court since having her first child Alexis Olympia early September, by taking on Jelena Ostapenko at the Mubadala World Tennis Championship in Abu Dhabi on Saturday. Serena, a 23-time Grand Slam champion, lost 6-2, 3-6, [10-5] to the world No. 7, in what was her first match since winning the Australian Open 11 months ago. “It felt good to be back out there. I missed playing, I missed the competition, I missed the crowd, the atmosphere, it’s so much that you don’t see so it was really nice to be back out there,” the 36-year-old told reporters after the match. The 23-time Grand Slam winner showed glimpses of her best in UAE capital. It is the first time Serena travelled to a tournament with her baby and she confessed her mind wandered to her child while she was on the court. “It was definitely a new experience. It played out pretty well. In the middle of the match I looked over and I was like ‘is Olympia okay?’ Because usually I’m always with her,” said Serena. That statement implies Serena is keen to return to the tour and continue playing until her daughter is old enough to show up to matches but the American was more reserved when discussing her imminent plans, particularly whether she plans on defending her Australian Open title in Melbourne in less than three weeks’ time. “I don’t know. I’m going to go and just assess what I want, and what I want to do and figure that out,” she said when asked where she was heading next after Abu Dhabi. Serena would not reveal exactly when she started training again. Against Ostapenko, she started moving better as the match went on, but she admits she still has a way to go. “I don’t know if I’m totally ready yet or not (to get back to the tour). When I come back, I definitely want to be competing for championships. Somebody asked me the other day when I started and I couldn’t remember, and I still can’t remember. I guess it’s kind of all a blur,” said Serena. While Serena may sound sceptical when discussing details about her return, she is clear about one thing — she is not done yet with the sport. “I think everything is so much easier for me to approach (my comeback) having my daughter at home waiting for me and knowing that yeah I’ve won 23 Grand Slam singles title, I don’t know how many other titles… I don’t have anything to prove but I just want to go out there and play. I’m not done yet, so…” she says.